What is the Best Guitar Cab? | Find out on the Andertons Blog! Many players out there believe that an amplifier provides you with your core tone. While that is true for the most part, some guitarists undervalue the significance of a guitar cabinet, and the influence that one can have on your sound as a whole. 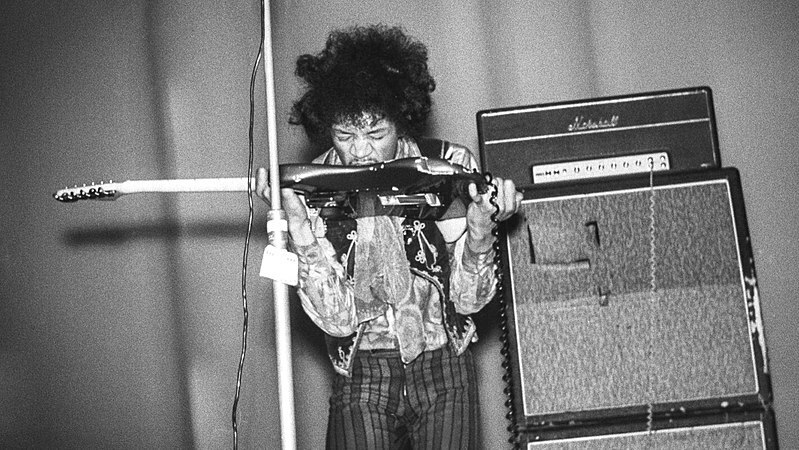 In this article, we’re going to try and identify what the best guitar cabinet out there is. Not quite literally, because taste is subjective, but rather we’re going to help you identify which guitar cabinet will suits your needs the best. What a guitar cabinet is and what its purposes are. The differences between cabinet sizes and configurations. The tonal contrasts between ‘closed back’ and ‘open back’ cabs. What an ‘FRFR’ cabinet is. What is a Guitar Cab? In its most basic definition, a guitar cab is a set of speakers fitted within a wooden enclosure. Its purpose is to project the audio signal created by an amplifier head or a speaker out-enabled combo. With some smaller amp cabinets housing just a single speaker, the guitar cab market is surprisingly diverse, especially when you consider the simplicity of a cabinet’s design. With different sizes, designs and styles available, it’s fair to say that trying to find a guitar cabinet that perfectly meets your demands can be difficult. That’s because different types of cabs have their own qualities, with their particular constructions and speakers affecting their outputs and tonal idiosyncrasies. Arguably one of the most photographed pieces of gear in rock history, the legendary Marshall 4×12” guitar cab is an icon amongst guitar players. One of the first mass-produced cabinets available, the classic Marshall stack powered the rock sound of the ‘60s and ‘70s, with Pete Townsend, Ritchie Blackmore and Jimi Hendrix using them to help establish the foundations of the genre. As stadium rock started to take over, countless bands needed walls of speakers to fill these vast spaces with sound. And well into the 21st Century, the Marshall 4×12” guitar cab remains the industry standard. With many other guitar amp companies designing their own versions in following years, as a whole, the 4×12” is still considered the biggest and most notorious type of cabinet available. However, as we alluded to, you can get cabinets in smaller sizes too, which can deliver completely different sounds. In the next section, we’re going to take you through the most common sizes and specs you’ll find, describing what they sound like and more. What are the differences between guitar cab sizes? Other than the 4×12”, the second most common contender you’ll discover is the 2×12”. Generally half the size of a 4×12” as you’d expect, the 2×12” isn’t the smallest tone-pusher available, as there are also 1×12” cabs too! You may already notice a commonality between these cabs; they all feature 12” speakers. Whereas bass cabinets can feature 8” or 10” speakers, guitar cabs tend to feature larger 12” versions as they project a more open sound. This ensures that an amplifier emits the full frequency range that guitars typically occupy on a frequency spectrum. Generally the smallest cabinet available, a 1×12” cab doesn’t project as much volume as its larger counterparts, but can still be plenty-potent. Ideal for smaller venues, where the amount of dB you’re distributing isn’t such an issue, a 1×12” will generally have a punchy mid-range with extended highs. Lacking the low-end of of a 4×12”, a 1×12” cab is suited to players that prefer a more articulate upper mid-range. If you’ve used a combo before, it’s likely that it would have come installed with a 1×12” speaker. So if you can recall the sound of that fairly well, it’s pretty comparable. A 1×12” works well in conjunction with lower wattage amps, making that natural amp break up easier to attain. With a low-headroom amp cranked, more strain will be put on the speaker and it will thus provide a raunchier tone, allowing your sound to penetrate a mix far more easily. A step up from a 1×12”, the 2×12” perfectly bridges the gap between portable and powerful. With its speakers placed side-by-side in most instances, the 2×12” is tonally similar to a 1×12”, but emits a richer and more three-dimensional tone, thanks to its additional speaker. Providing you with some extra volume, a 2×12” can sound slightly more focused than a 4×12” because of its more compact enclosure. Suitable for medium-sized gigs where loud onstage monitoring can be vital, a small 2×12” is obviously far easier to transport than a 4×12”, making it a viable option even for mainstream touring artists that are trying to save on shipping costs. One advantage that a 2×12” presents over a 1×12” is that it gives you the ability to mismatch its speakers. Although most 2×12” cabs come installed with the same-spec speakers, having two different types can give you a more varied sound, and a 2×12” therefore allows you to experiment with new combinations. In terms of which amps they work well with, a 2×12” can be partnered with medium to high-wattage amplifiers; capable of projecting the large amount of headroom that even 100W heads can generate. We’d therefore recommend pairing an amplifier rated at between 30W-100W with a 2×12”. If volume is king, then nothing beats the trusted 4×12”. With a huge engulfing sound, the unparalleled 4×12” is suited for large-scale performances only. That’s not necessarily a strict rule, as you can of course use a 4×12” at smaller venues. But if you do, at least be courteous enough to provide your audience with some earplugs! If you’ve already done a bit of searching, you’ll notice that 4×12” cabs are available in two configurations – ‘straight’ and ‘angled’. A straight cab is quite self-explanatory, where all of its speakers are front-facing and project sound in the same direction. An angled cabinet is slightly different however, with its top two speakers facing up at about a 10-20 degree angle. Regarding player preferences, most will favour angled 4×12” cabs as they are able to project sound straight ahead and towards the ceiling. This gives a slightly wider spread, as the sound that is emitted is firing in different directions. An angled cab is therefore more effective at filling a space as it is being reflected in more areas, thus giving your guitar sound the best chance to reach the audience’s ears, as well as your own onstage. From a tonal perspective, the differences between angled and straight are fairly minor. Some argue that a straight cabinet has a more powerful sound with boomier lows, while others say that an angled cab delivers improved highs because of the speaker separation. Apart from their sizes and speaker configurations, cabinets can also be distinguished by another design trait. More significantly affecting their sound, ‘closed back’ and ‘open back’ refers to a cabinet’s type of construction. ‘Closed back’ is perhaps the most common type you’ll come across, which defines a cab with its speakers fully enclosed. This design concept gives a cabinet a more punchy quality, as its sound is only being pushed forward with no spill emitting from the rear. This produces an accentuated low-end thump and a bolder mid-range, with a very focused character as a whole. An ‘open back’ cabinet is different as it has an area of its housing removed at the back, which ensures that sound can escape. Its name not only refers to its appearance though, as this cab design produces a more open and airy sound compared to its closed back counterparts. They are therefore notorious for boasting a brighter sound, with increased presence and top-end cut. Which is better, an open-back or closed-back cab? In terms of which is better, like we said at the beginning, it’s all subjective. Most rock and metal players prefer closed back cabinets as they deliver a tighter sound, with more natural compression. But if you rely on your cabinet for onstage monitoring, it can sometimes be difficult to hear yourself with a closed-back, as they are very directional. An open back offers a more vibrant tone with looser lows, with its sound spreading more easily around a room. In a studio environment this will have its advantages, as a sound engineer can play around more freely with microphone placement. Funk and blues players may prefer the sonics provided by an open back too, as its abundance of treble will lend itself more to articulate playing styles. What is an FRFR Cab? Garnering a lot of interest and praise in recent years, FRFR cabs are ultra-modern alternatives to traditional amp cabinets. Standing for ‘full range, flat-response’, an FRFR is designed to work in conjunction with modelling amplifiers, such as those offered by Line 6, Kemper, Axe FX, Atomic and Headrush. Essentially, an FRFR cabinet is akin to an active PA speaker. Giving you a completely transparent sound with little to no colouration, an FRFR cabinet can process and project any frequency that an amp signal feeds it. In other words, it’s a blank canvas that allows you to fully take advantage of the versatile range of sounds offered by modelling amps. So, which guitar cab is the best? As we mentioned at the beginning, there is no definitive “best” guitar cab; only the most appropriate for your demands. From the main types of cabinets that we identified and described, it’s clear that there is a lot of tonal diversity between them. If you’re a bedroom player that rehearses with a band and plays small gigs from time-to-time, then a 1×12″ will be more than adequate. 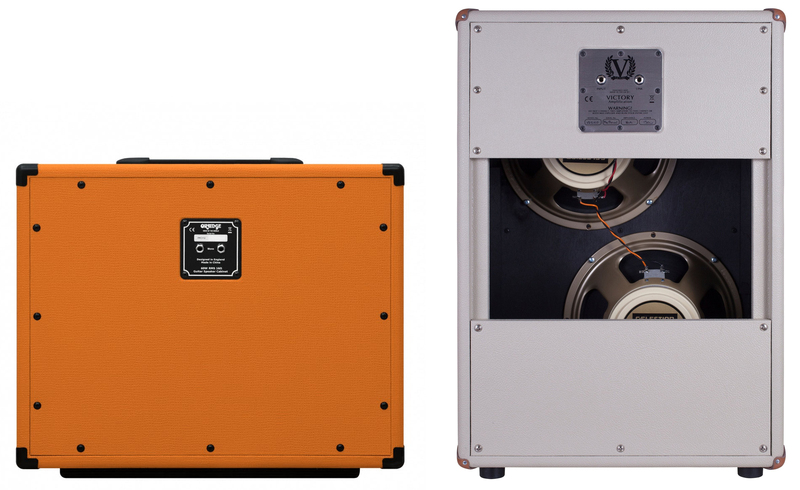 But if you need to really push some air, a more powerful 2×12″ or 4×12″ cab will fair better at medium to large-scale venues. One important thing to remember, however, is that in a live situation you will often have your cabinet mic’d up and projected through a PA system. So even if you use a 1×12″ at a large gig, your sound would still be heard by the audience out front, but you would struggle to hear yourself onstage unless you had wedge monitors feeding that mic’d signal up to you. Therefore, onstage monitoring is one of the most vital things to consider when looking for a cab. But you must also think about the overall portability of your rig, as well as the type of tone that you’re wishing to attain. Whatever you end up choosing, just know that there’s no right or wrong. Having said that, we hope that this article made things clearer! Check out our full selection of guitar cabs by clicking here!